Color plays a vital role when it comes to design, especially “web design.” Today, you can play around even with different formats of black and white color combination in terms of balance, contrast, hue, brightness, or more. Flat design has still maintained its prominence, and rainbow colors are in trend, with brighter tones coming up. Even the minimalist design is still popular as ever. With 2015 about to end, you can expect even more web design trends to show up in 2016. Hamburger menu encompasses all the menu tabs within a hamburger like icon. When you click on that, you get to know all the hidden tabs present. The design looks clean with such type of menu and besides you can see only what you need to see. You can use long scrolling to place most important elements above fold, while rest present beneath to give a storytelling feel to the users. When users see the critical things present above, they are intrigued to know the details present beneath the fold. Discovered by Pinterest, card layout let you present the content present on your website in form of cards. This type of layout has a strong visual appeal that connects with users greatly, and they are attracted to see more present on other site pages. Such type of layout provides easy visual scanning, going through important or relevant content in just minutes. They can be rearranged easily due to their square or rectangular shapes. Killer images present on homepage, give a heroic appeal to the entire website. First page that a user lands upon is homepage. If there is a strong image present above fold, the user will be intrigued to see what the website has to offer in particular. With advances in data compression as well as internet bandwidth, HD images can be used with ease without compromising on loading time and performance. After scroll, you can find a zig zag, card based, or other kinds of content arrangement. Large Scale Animation Pop-up notifications, parallax scrolling, and other types of primary animations require user action to perform. Small Scale Animation Loading bars, hovering tools, and other types of secondary animations do not require user action to perform. Liking, sharing, commenting, or following something is what micro interactions is all about. Even small actions such as turning off mobile alarm, setting reminders, and such other things comprise of micro interactions. They might look small; however, they play an important role in giving a human touch to the entire conversation rather than having things automated. However, keeping micro interactions as simple as possible is wise. Each micro interaction gives rise to a design that is highly human centered. Last year, Google switched itself to Material Design. This type of design has the ability to present things in a more realistic manner by using the concepts of depth, movement, and shadow effects. The goal of such a design is to provide a modernized and clean appearance to flat design. Since material design is free of any particular frameworks, it can be easily implemented using various front-end tools, and it is lightweight when it comes to integrating with the code. 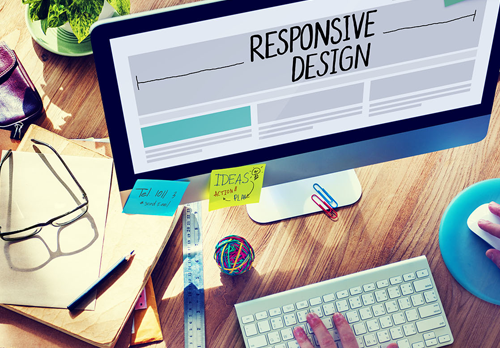 Responsive design is probably the evergreen trend in web design that is here to stay for quite a long time. A relatively cheap and simple way for all kinds of businesses to have a mobile friendly website applicable to all screen sizes, no matter seen on desktops, laptops, tablets, or smartphones. By looking at the current trends in web design, responsive design appears to be more of a practice now rather than just another trend. It seems to be almost mandatory for businesses planning to switch to a responsive design website. There is no doubt in regards to the versatility and usefulness that responsive design tends to offer. Probably the most used design pattern by major businesses. It is so because it is highly compatible with other design patterns such as minimalist design, material design, or even responsive design. We do see some hot favorite trends in flat design and we can expect the same to continue even in 2016. Long shadows give a tremendous amount of depth to the current flat designs. Vibrant color schemes when used with varied templates and frameworks deliver a fresh look to user eyeballs. Hence, expect to see a potential rise even in the next year. Use of extremely simple and legible typography make things clear, clean, and transparent ensuring that user reads them comfortably with great ease. Ghost buttons serve purpose of delivering simple to use and easy to understand interface. They usually appear as outlined working as clickable links. As soon as user hovers over them, their appearance changes giving a stylized look, which you personally expect from a design. Minimalist approach is making use of as few elements or components possible for letting users access only things that are useful without getting to know useless features or Call To Actions (CTAs). Such a design helps to keep things uncluttered without much cumbersome functionalities. Would you like to expect more with 2016? Do not follow trends thinking that they are in trend and needs to be in your design anyhow. Try to encompass only those ones that compliment your website and business objectives comfortably. Integrating trends is definitely worth giving a shot. However, what is more important to remember is how your users will perceive your website once things incorporated. If they are having a tough time dealing with things or are not able to comprehend things, then all your pain will go in vain. Make a right choice by being in users seat for a while when making a decision.